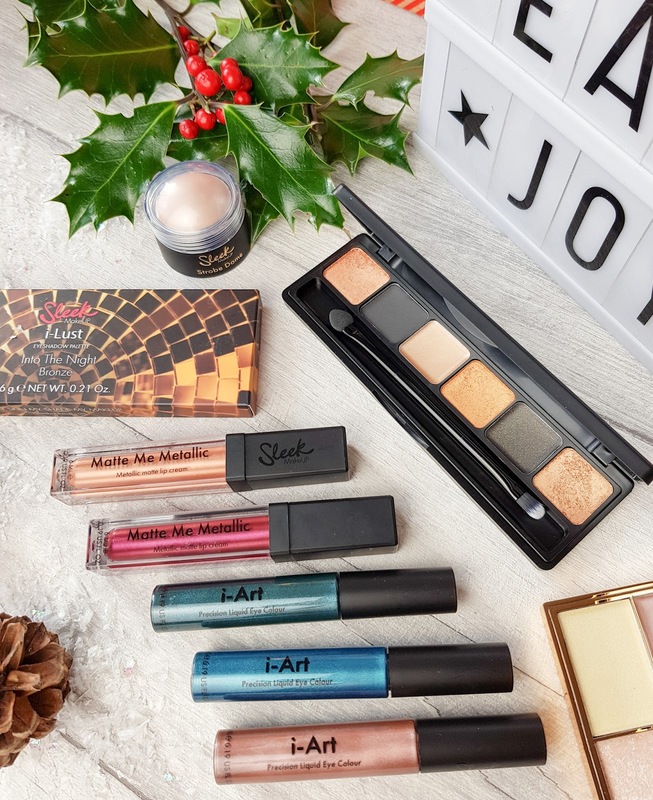 The newest collection from Sleek Cosmetics has dropped and it's all about the METALLICS for the forthcoming party season which is right up my street. 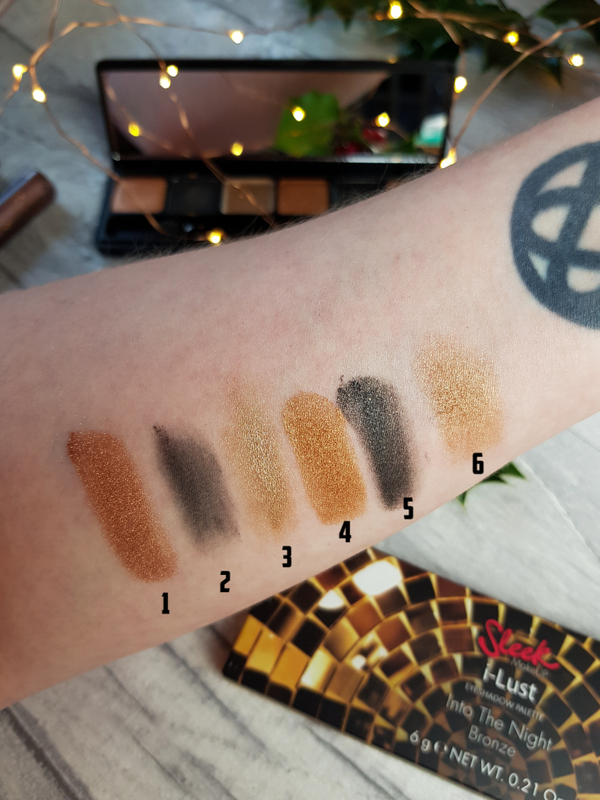 The latest limited edition collection of super affordable consists of a new i-Lust eye-shadow palette, available in two brand new shades; silver or bronze and I've been playing around with the bronze version this week. The palette itself costs just £7.99 and has six eye-shadows; 2 cream, 4 baked powders and a very handy double-ended brush/ blender sponge and mirror inside. 1. A baked shadow in the glitziest, deep bronze I've ever tried. I couldn't quite catch how impressive these bronze shades were in the swatch sadly but this one is BY FAR my favourite. 2. A matte black, perfect for a base colour in my opinion. This one didn't swatch very dark at all but is buildable on the lids. 3. The palest shade in the palette - a cream shadow in a gold shimmer which would also be perfect as a highlight if you're packing light during party season. 4. An extremely buttery powder, golden bronze with more of a matte finish than the other bold shades, I'd say this one will have some serious staying power on a night out. 5. A black cream based shadow with bronze glitter flecks. Not gonna lie, I almost ruined this one on first use as I didn't realise it was a cream and stuck my finger right on in there. It swatched well and on first wear it didn't crease which is a problem I usually have with cream based shadows so this is a promising one. 6. When I swatched this one, I was surprised at how light it came out. I think it looks like quite a deep true bronze in the palette but it turned out to be the lightest powder shadow in the palette. Again this one could also double up as a highlighter. 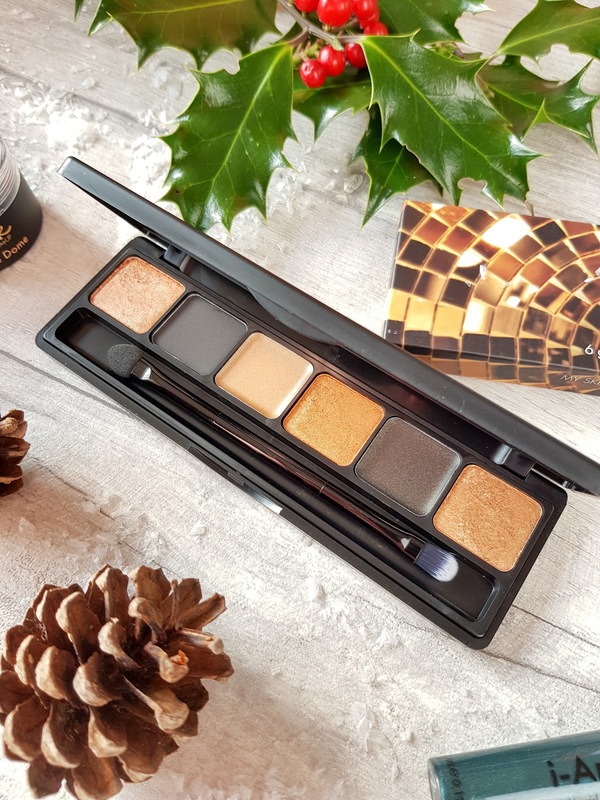 Overall, if you're anything like myself and don't wear eyeshadow that often or don't like splashing £30+ on a palette, then this latest release from Sleek is one to check out. I now have my sights set firmly on the silver version for my Christmas party look and for £7.99, it's not going to break the bank. 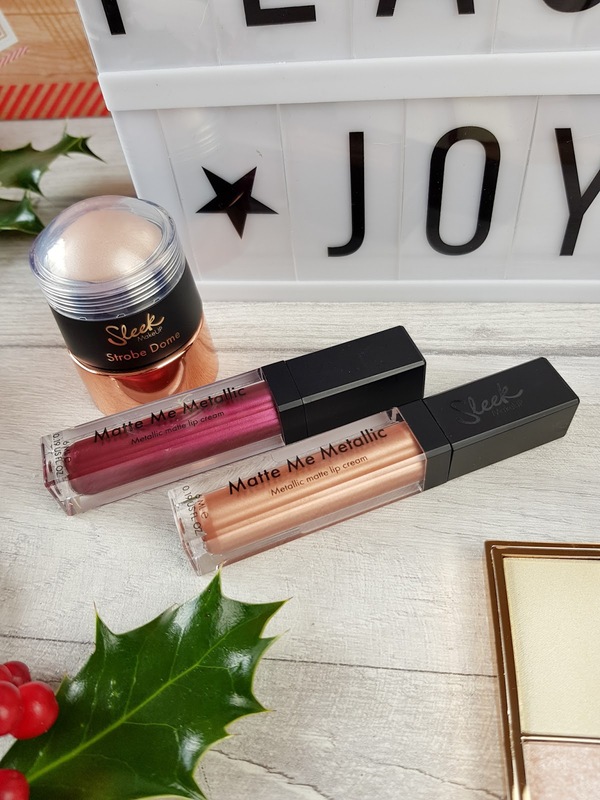 Also new from Sleek for this season; the Strobe Dome Highlighter and brand new Matte Me liquid lipstick shades; METALLICS. The Strobe Domes come in two shades; pink or bronze and I've been trying out the pink one which is perfect for my ghostly complexion. The dome shape is an unusual style but I'm really enjoying it. Normally I wouldn't opt for a cream style highlighter but this product doesn't seem to move my foundation etc on application or sink into my pores so it's a product that will be staying on my dressing table for the foreseeable. Now, the metallic lipsticks. Ohh I'm not too sure I can express how much I've enjoyed using these without going on for another sixteen paragraphs. 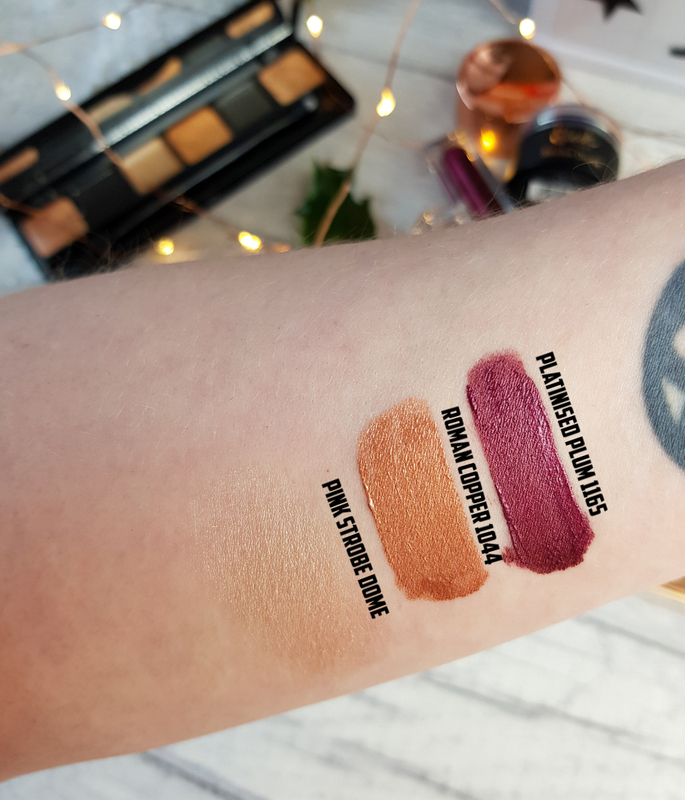 I shared a photo on my Instagram stories last weekend when I was trialling these and I got so many questions and messages about them, specifically the plum/red shade. I've been trying out Platinised Plum 1165 and Roman Copper 1044 and the staying power of these is INSANE. Now, I wouldn't be pulling off the Roman Copper shade with the Bronze palette above as it's certainly a statement lip colour but teamed with a basic eye, maybe just a sleek of liner and you're rocking it. Platinised Plum was possibly made for me. 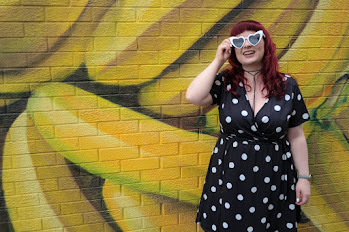 It's the perfect shade for my hair colour and I just can't get enough of it. I wore this one out on Saturday night for dinner and a gig and only had to reapply once through the 7 hours. Count me impressed! These pack a real punch of pigment for just £6.99. 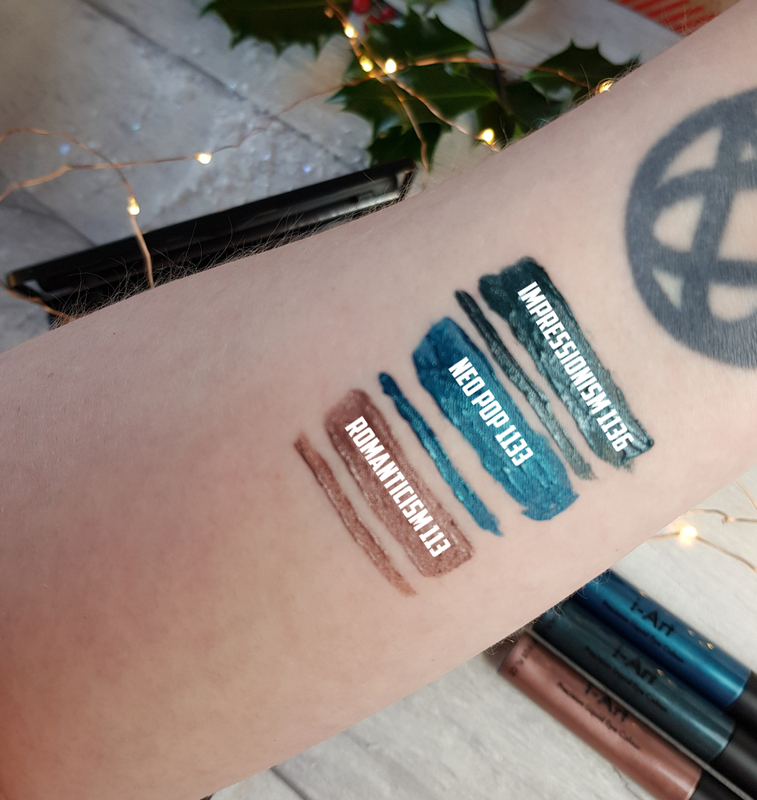 I wasn't sure I'd actually find a use for them but right this very moment, as I type, I'm rocking a blue liner look and loving it. The brush tip is rigid and makes for a super easy application and I'm heading into hour number 8 right now and still going strong. There is currently 12 colours in the range and they are available now via Superdrug, Boots or Sleek online. 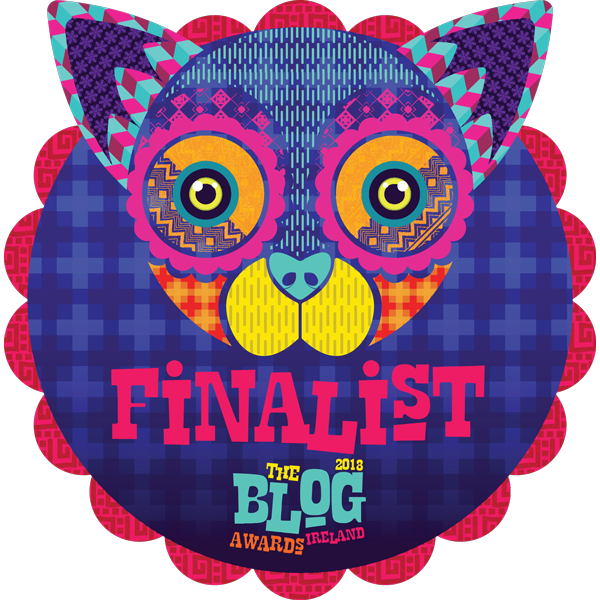 Phew, that was a biggy, eh? 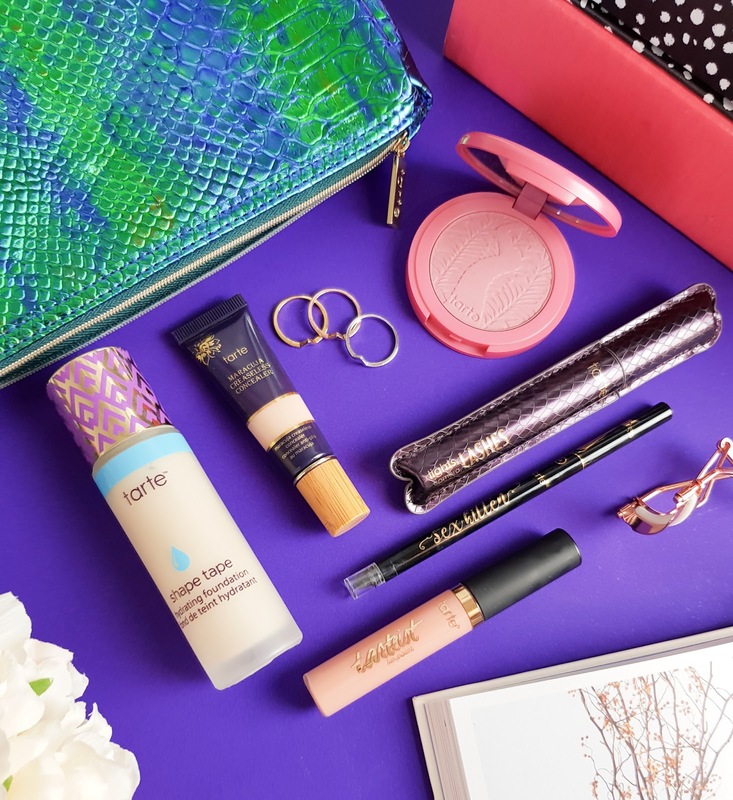 Have you filled your online basket full of Sleek products yet? You can pick up Sleek from Boots, Superdrug, most Tesco & Medi-care stores and direct from their own site. 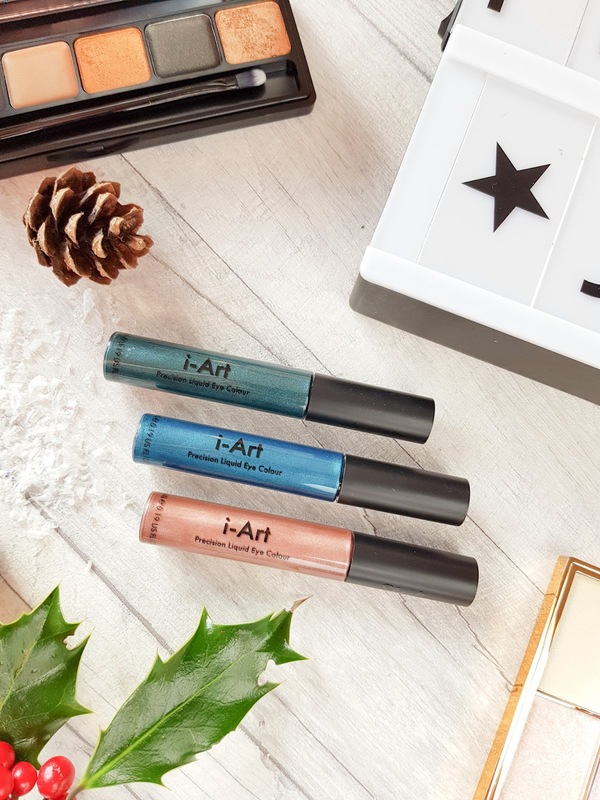 How gorgeous is the collection?! !